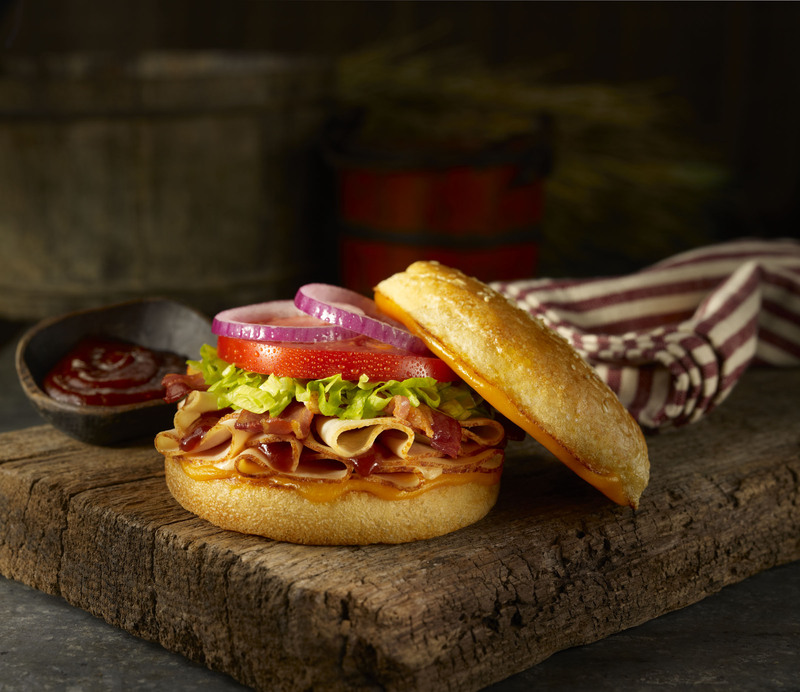 Route 66, also known as the Main Street of America, is the inspiration behind Schlotzsky’s latest menu additions. Running from Chicago to California, the historic stretch of highway winds its way through numerous states, incorporating a variety of different cultures, tastes, and flavors. From now until August 25, the home of The Original round-toasted sandwich will feature these flavors in three signature sandwiches. After the initial leg in 2010, which was the most successful summer promotion in company history, Schlotzsky’s extended its journey down Route 66 to the fall season. 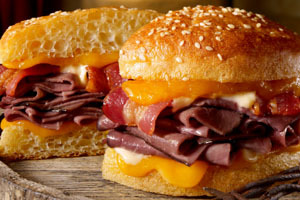 Gearing up for another trip, which combines the flavors of the last two promotions, Schlotzsky’s has brought back the Windy City Pastrami & Swiss, California Chick, and Albuquerque Turkey. · Windy City Pastrami & Swiss: sliced pastrami and melted Swiss cheese with Dijon mustard and our signature dressing on toasted Dark Rye bread. · California Chick: thinly sliced, roasted chicken breast, pepper jack cheese, bacon, guacamole, red onion, tomatoes, lettuce and fat free spicy ranch dressing on toasted Jalapeño Cheese bread. · Albuquerque Turkey: smoked turkey breast and crispy bacon with cheddar, mozzarella, and parmesan cheeses layered with fire-roasted vegetables, chipotle mayonnaise, shredded lettuce, tomato and our signature dressing on toasted Jalapeño Cheese bread. The free Tax Day offers from Schlotzsky’s and Cinnabon are featured in this news clip from FOX 17 in Nashville. Visit participating Schlotzsky’s locations in Tax, purchase a 32oz. drink and chips and get a small The Original sandwich for FREE! Stop into Cinnabon on Tax Day between 6pm and 8pm and get two FREE Cinnabon Bites! Straight from New Orleans – Muffalotzas! Take a trip to New Orleans with our new Muffalotza sandwiches – the Smoked Turkey, Ham and Roast Beef Muffalotzas are a unique twist on a traditional muffuletta sandwich. And after you try the sandwiches, you can enter for a chance to win an actual trip to New Orleans. Head to the Schlotzsky’s Facebook page and “like” us to enter to win! Weekly prizes will be distributed between now and June 2, with the grand prize trip to New Orleans announced the week of June 3. Shaved roast beef, olive mix, parmesan and mozzarella cheeses, lettuce, tomato, red onion, Creole mayonnaise and Schlotzsky’s Louisiana Hot Sauce on our toasted Sourdough bun. Schlotzsky’s® falls into autumn with the announcement of a completely new line of limited-time-only Chipotle Honey Sandwiches. From now until November 25, the home of The Original® round-toasted sandwich will feature three new, signature Chipotle Honey Sandwiches – the Turkey and Bacon Chipotle Honey, the Roast Beef and Bacon Chipotle Honey, and the Chicken and Bacon Chipotle Honey. Tender, shaved chicken and crispy bacon with smoked cheddar cheese, lettuce and tomato with chipotle mayonnaise and hot and sweet honey chipotle sauce on a toasted Sourdough bun. Schlotzsky’s restaurants offer guests more than 15 different sandwiches on its famous, unique and round freshly-baked buns, as well as gourmet pizzas made with Fresh-from-Scratch® crusts, freshly made-to-order tossed salads, and a variety of soups and delectable desserts. For more information or to find the nearest location, visit www.Schlotzskys.com. 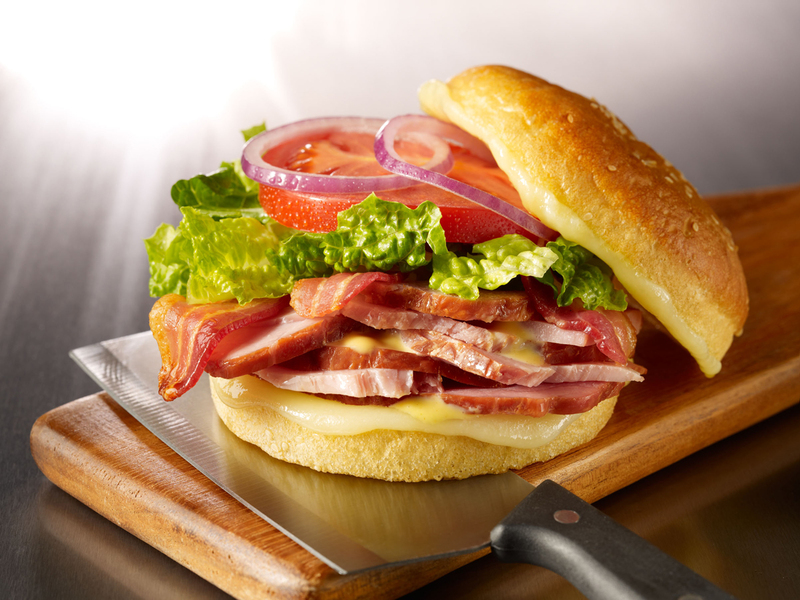 Schlotzsky’s® transitions to the spring season with the announcement of a completely new line of Hand-Carved Sandwiches. 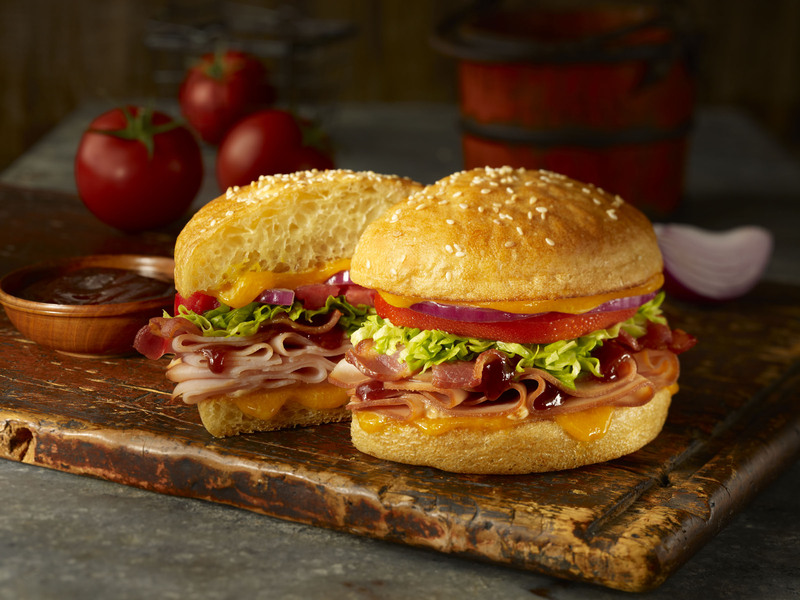 From now until May 27, the home of The Original® round toasted sandwich will feature three new, limited-time-only signature Hand-Carved Sandwiches – the Roasted Turkey with Avocado & Harvati Cheese, the Hickory Smoked Ham with Bacon, Harvati Chesse & Honey Dijon, and the Braised Beef with Mushrooms & Fire-Roasted Vegetables. 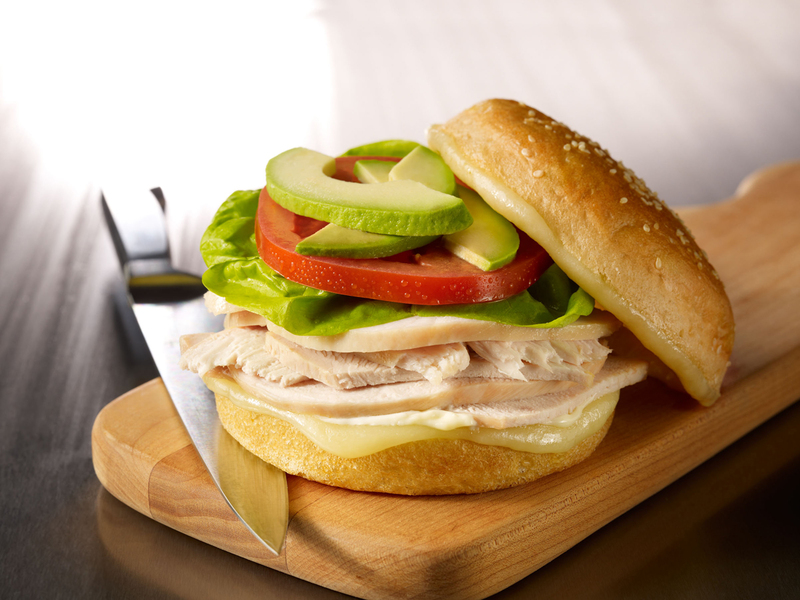 Roasted Turkey with Avocado & Havarti Cheese: Thick slices of hand-carved roasted turkey breast, tomato, bibb lettuce, avocado slices and shredded havarti cheese with mayonnaise served on Schlotzsky’s signature toasted sourdough bun. Hickory Smoked Ham with Bacon, Havarti Cheese & Honey Dijon: Slices of hand-carved hickory smoked ham, applewood bacon, hearts of romaine lettuce, tomato, red onion and shredded havarti cheese with honey Dijon mustard served on Schlotzsky’s signature toasted sourdough bun. 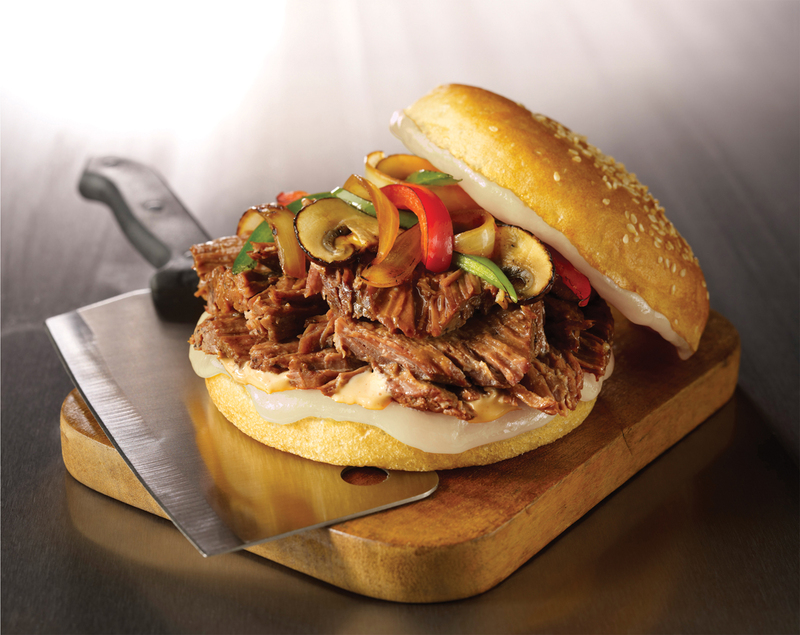 Braised Beef with Mushrooms & Fire-Roasted Vegetables: Hearty slices of hand-carved braised beef, portobello mushrooms, fire-roasted vegetables and both swiss and mozzarella cheese with chipotle mayonnaise served on Schlotzsky’s toasted signature sourdough bun. 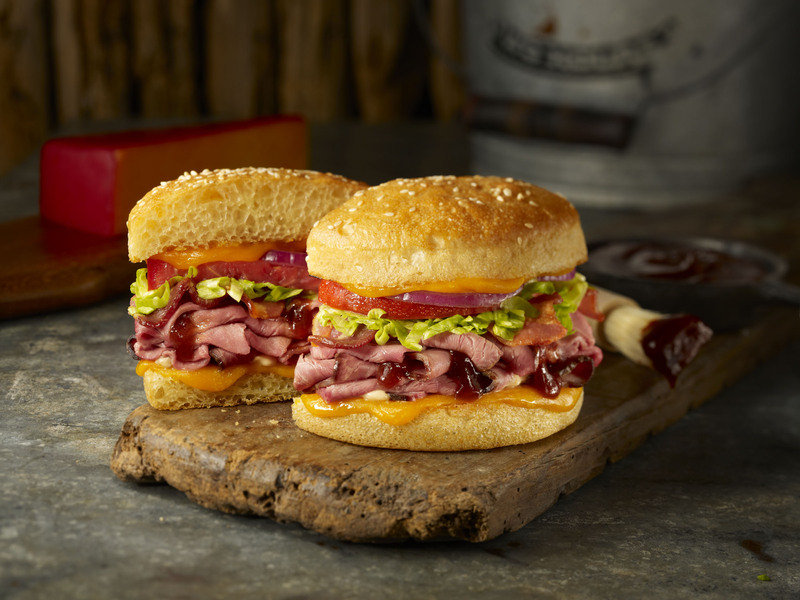 Schlotzsky’s is ready to head into fall with the return of its popular Angus Round Up sandwiches. From now until November 27, the home of The Original® round toasted sandwich will feature three meaty favorites – the Bacon Beefy SmokeCheezy, French Dipsky and the Chipotle Guaca-Beefsky. Bacon Beefy SmokeCheezy – Shaved Angus roast beef, smoked cheddar cheese, bacon and Chipotle mayo on our toasted Sourdough bun. 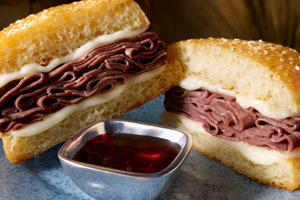 French Dipsky – Shaved Angus roast beef and mozzarella cheese on our toasted Sourdough bun, served with au jus dipping sauce. 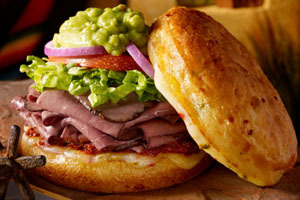 Chipotle Guaca-Beefsky – Shaved Angus roast beef, pepper jack cheese, lettuce, tomato and red onion, with Chipotle pesto and guacamole served on our toasted Jalapeno Cheese bun.